Highland Bakery, a longtime Atlanta favorite for breakfast, brunch and lunch, is planning to open their first restaurant outside the perimeter (OTP) later this fall. 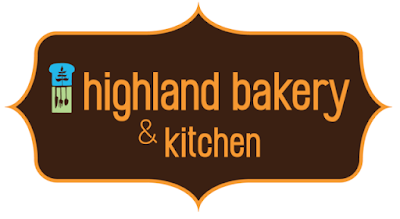 The new restaurant, to be called "Highland Bakery & Kitchen," will be located in The Avenue Peachtree City, 238 City Circle, Suite 1020, in Peachtree City, is to open in September. The restaurant will occupy the 3,350 square foot space left vacant when Thai Spice closed this past March after sixteen years in the center. The new Highland Bakery, rumors of which our friends at The City Menus have been hearing for months, was only recently officially confirmed by Stacey Eames, the restaurant's founder. Eames tells The City Menus that the restaurant will be operated by a franchisee who is already part of the Peachtree City community, but she stopped short of identifying the person or group. Plans call for the franchise restaurant to operate seven days a week and serve breakfast, lunch, brunch, and dinner. The Peachtree City restaurant sports the concept's latest branding verbiage - "& kitchen" - and will be the first in the chain to offer dinner service. The new restaurant will offer the full breakfast and lunch menu that has made the restaurant famous, including favorites such as Sweet Potato Pancakes, Peanut Butter French Toast and Shrimp & Grits, as well as sandwiches, salads and house-made soups. The restaurant will also feature a full-service bakery filled with artisan pastries and desserts and will sell their lifelike custom cakes. The Peachtree City Highland Bakery & Kitchen, the fourth franchise location, will also be the first to offer a full bar. Eames opened the first Highland Bakery in 2003 on Highland Avenue in the Old Fourth Ward. In the years since, the restaurant has expanded to include outposts in Midtown, Virginia Highland, Emory University (2), Georgia Tech (2), and franchise locations in Decatur, Buckhead and Downtown Atlanta/Georgia State University. The Peachtree City restaurant will be one of the larger restaurants, with plans to offer indoor seating for 95 plus additional patio seating. One has to wonder if Highland Bakery is making the right decision to both franchise and expand their menu beyond that which made it so successful. Many readers have lamented previously that the franchisee Buckhead location of Highland Bakery is far inferior to the original location in both service and food quality. Atlanta-based The Flying Biscuit Cafe has expanded into both franchising and dinner service with mixed results, as has Asheville-based Tupelo Honey Cafe, which opened an Atlanta area outpost in Sandy Springs in 2016. Egg Harbor Cafe, Another Broken Cafe and J. Christopher's, which all specialize in similar fare, have remained solely breakfast, lunch and brunch eateries with all closing at 2PM daily. 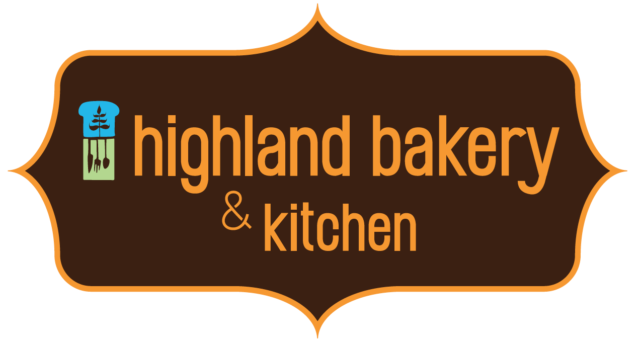 Are you excited for the opening of Highland Bakery & Kitchen in Peachtree City? Do you think Highland Bakery is making a mistake in opting to expand/franchise outside of metro Atlanta? Who do you think offers the best breakfast in metro Atlanta? The Emory location at Goizueta Business School serves until 6:30 four nights a week during the academic year.It may not be specifically identified as "dinner service",but I've eaten dinner there numerous times the last couple of years. I don't know why Highland Bakery doesn't have more locations OTP. It is an Atlanta institution but many suburbanites have never even heard of it. I lived in Atlanta and went to the original one years ago and still love it today. I moved to Peachtree City several years ago, and miss the ATL eateries, one being HB. I'm glad they are trying the concept here, but my fear is that it will be yet another watered-down version of the original. If they can keep the quality and service as the original, then trust me, it will succeed. Put it this way, I tried Flying Biscuit here once and it doesn't compare to the Candler Park original. I've never been back. Quality and service is desperately needed here. People living here really want quality, and uniqueness, because there are plenty of chains and chain-quality food to compete with. I hope they will stand above it. This article is inaccurate. The original Highland Bakery on Highland Ave was NOT opened in 2003. This bakery served the neighborhood in the 1920's.